These steps assume that you will edit an existing query. In the left sidebar, click Yours, All or Shared. To open a dataset, click on from within the search results. Select and copy the query. In the left sidebar, click New Query. 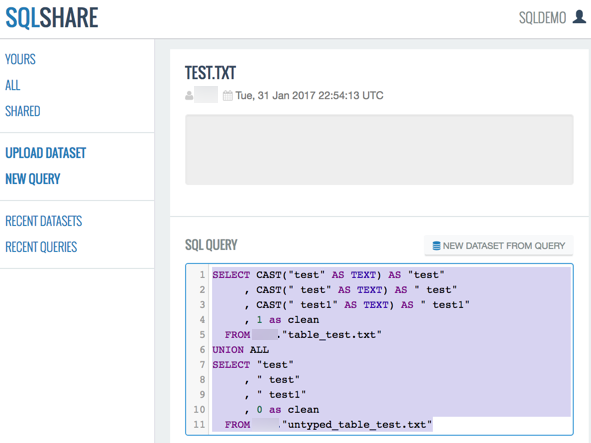 Paste the copied query into the field on the New Query screen. Edit the query as desired. Below the query field, click Run Query. Above the Dataset Preview window, click Save Dataset.